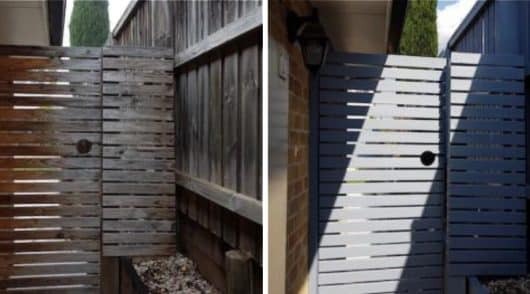 Welcome to Sydney's best painters - Advanced Painting. Our professional painting company provide outstanding residential and commercial painting services. 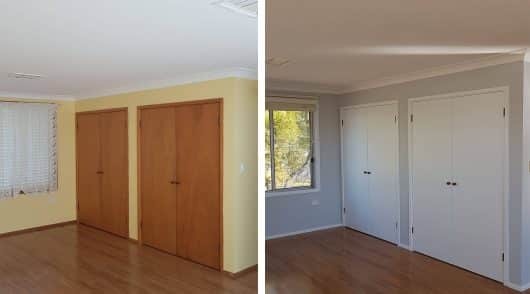 Want superior quality painters in Sydney at competitive prices? Contact us now for a free quote. 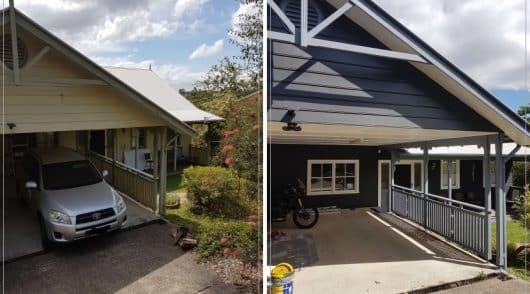 A family run business, we specialise in Sydney house painting. 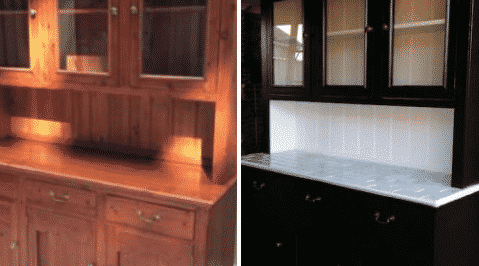 Have an outdated or newly renovated home that needs a fresh coat of paint? Our friendly team are knowledgeable on various colour schemes and finishes to bring your house to life. 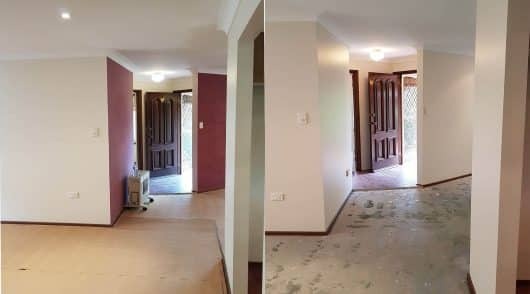 Highly skilled at both interior and exterior painting across the entire Sydney region, our painters transform your property from the inside out. 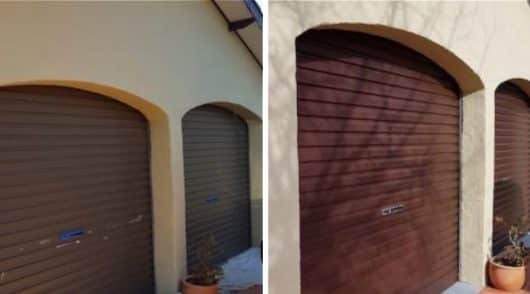 Our painting contractors use the highest quality paints, materials and advanced techniques in brush, roller and spray-painting to deliver the best results, every time. You can rest assured our 15 years experience and professionalism will deliver exactly what you need. 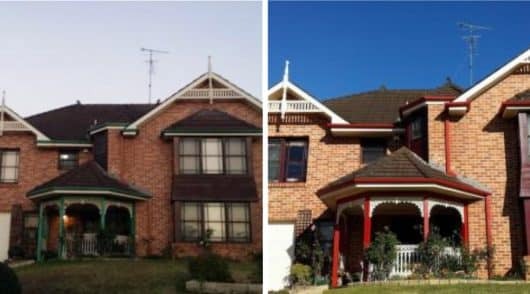 Based in Baulkham Hills, Advanced Painting service all of Greater Sydney including the Hills District, Western Sydney, North Shore, CBD, Eastern Suburbs, Inner West, South Sydney and Sutherland Shire. Looking for a reliable Sydney painting company that can handle all you painting requests? You are at the right place. As house painting specialists we also perform business, commercial, office, warehouse and strata painting projects as required. 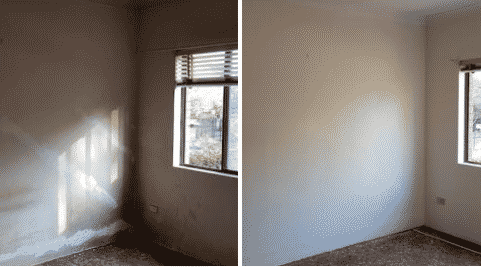 With our painting and decorating Sydney services we help you create the atmosphere you desire. Still in the planning and budgeting stage? No problem. Use our extensive experience in the painting and home improvement industry to transform your ideas in designs. With our skills and expertise, our painters and decorators ensure you achieve the exact style and colour scheme you desire. 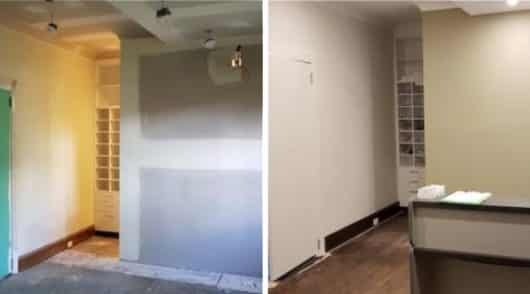 Need to paint and decorate every room in your house? Leverage our extensive experience painting and decorating bedrooms, bathrooms, living rooms and kitchens. We take care of every aspect including your doors, walls, stairwells, handrails, windows, architraves, ceilings, skirting boards and feature walls. 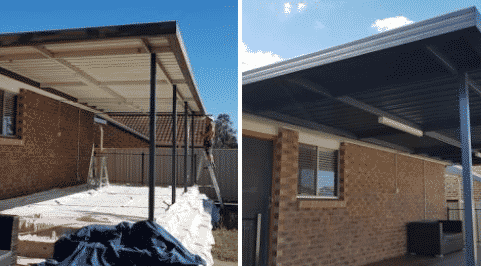 Along with interior painting, our Sydney painters also perform exterior painting including verandahs, garage doors, driveways, fences, gables, guttering, eaves, pergolas, you name it! 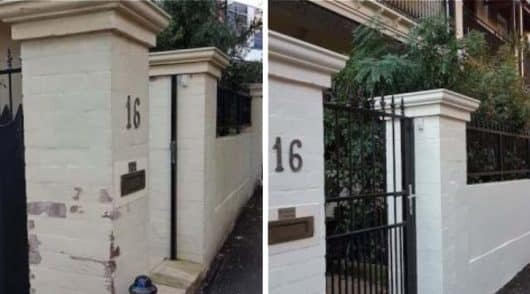 With our 15 years of professional painting experience you can be confident that our cutting-in will always be spot-on. But don't just take our word for it. See what our customers have to say. I am pleased to write this letter of recommendation for Eric. Eric’s services have been efficient and reliable. Having agreed on the scope of work required, we established a time frame and budget. Eric completed the work on time. He was punctual, honest and did a great job. I have no hesitation in recommending the services of Eric. Please feel free to contact me regarding Eric. I confirm that Eric Kim of Advanced Painting was engaged by us to paint our entire 4 bedroom house both, inside and outside. 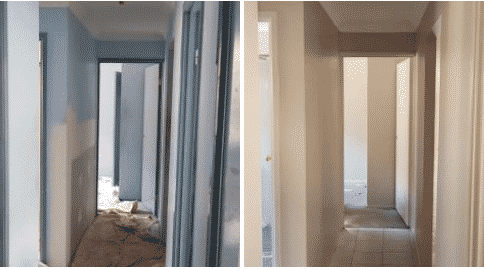 Eric was not only able to produce an excellent outcome with his team; in fact, he was able to complete the entire job within the deadline committed by him before starting the job. He is a decent and well-mannered person who has the skills to produce high quality finish in his painting job. We found him to be reasonably priced and very accommodating in ensuring safety of our furniture and fitouts while painting the house. I would not hesitate to recommend Eric Kim for any painting works that people may require at their dwellings of place of work. Eric Kim has now done three painting jobs for me at my house at the above address. Each job has been excellent. The painting has been careful and with much attention to detail. It has been finished in a short time, and he has cleaned up afterwards. The price has been quite reasonable. I would definitely use his services again, and I recommend him as most professional and reliable. Hi Eric, We just want to thank you for the excellent work you performed, painting our house at Wood croft. You were punctual, professional, neat, knowledgeable and answered all our questions perfectly. This was our first time in having our house repainted since it was built and we can see your work was 100% quality at its best. Thank you for being professional and I look forward to using your painting services in the future. I will definitely recommend you to any of our friends that need their homes painted in the future. Eric responded very quickly to my ad and arranged a site visit for a more accurate quote. His price was very reasonable and we organised the work to be completed within days. I had strict expectations as my place was newly carpeted. There is not a drop on my carpet and the cutting on the staircase to wall is perfect. Eric took the time to slightly change my colour for a perfect colour match until I was happy. He completed the task promptly and I will be using his services for my next project within a few months. I haveKaren from Miranda, NSW posted a job for Painters on 25 October 2017. I have no hesitation in recommending Eric and his services. 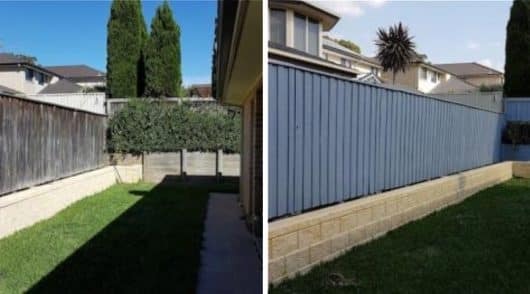 Great job painting my fence and front of house. Eric and the team did a fantastic job. Highly recommended. They did an excellent job of painting our 4 BR House interior as well as Eaves. They arrived right on time on all days exactly as promised and delivered. As for Dependability, workmanship, ease of working etc., etc. I will recommend Eric and his team at Advanced Painting any day. 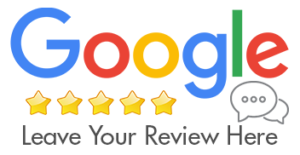 I am very happy with the service Eric provided from start to finish. He was quick to respond, provided a same day quote and completed the job in the agreed time frame. He showed up on time everyday, worked hard and even did a fantastic job of packing up. 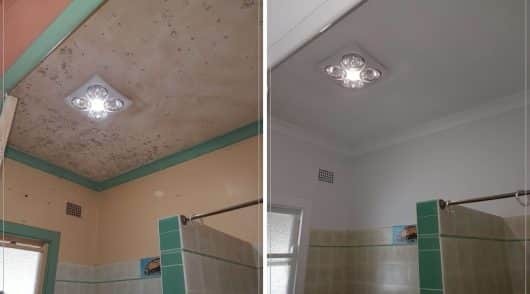 Special thanks for fixing up the bathroom ceiling ! I would highly recommend Eric and his team. Eric and team did an excellent job at my place. He arrived on time each day and completed the job in the time frame promised. His team worked hard and finished final touch ups as well. I wouldn’t hesitate to recommend him. House is looking and smelling new again! Advanced Painting are fully licensed, registered and insured. We provide professional painting solutions for all home and business owners in Sydney. Come to us when you have ideas or concepts and we will help you design the perfect solution. Or come to us when you are ready to paint and our professional Sydney painters will do an outstanding job. We take care of you at every step of the painting process. Your home is a valuable asset. Increase its value and your standard of living with a new coat of paint. We work all types of residences including homes, granny flats, town houses, apartments and units. Is the colour of your building not up to date with your brands colours? Maybe the sun has weathered your building? Advanced Painting handle various commercial painting requests across Sydney. Does the inside of your home or business property need painting? There is a skill to the art and design of interior paint schemes. Luckily we bring 15 years of experience to our designs and workmanship. The exterior of your home is its most visible aspect and also the area that suffers the most from the weather. Ensure your property is protected and looking it's best with our exterior painting services. © 2019 Advanced Painting. All Rights Reserved.